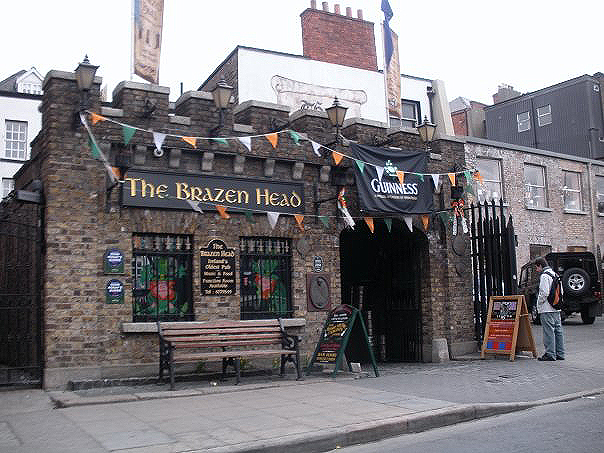 The Brazen Head in Dublin (Ireland) is one of the oldest 22 bars in Europe. If old bars and traveling are two of your hobbies, than you will love the Lords of the Drinks U1600 Tour. We searched for the oldest 23 bars, pubs and inns in Europe. All of them were founded before the year 1600 (Under 1600). They may have switched names or owners in this time but they never stopped serving beers. This amazing journey takes you through 11 different countries. From Ireland to Belgium and from Czech Republic to Slovenia. To keep a permanent souvenir from this trip we created a stamp card. Just download and print the PDF below. So have a lot of fun collecting them all and we look forward to your reactions and reviews about these historical pubs and bars. Of course we’re going to take the tour ourselves too and you’ll soon see a report on each bar on this page. Cheers! Oh absolutely…. Thanks for adding this one to the list! Cheers!